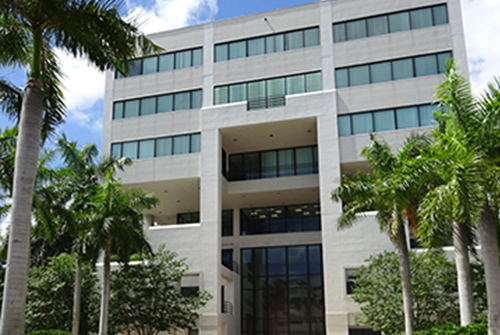 Owner Occupied Building Services Fort Lauderdale | CSI International, Inc.
CSI uses several traditional validation tools to guarantee that we are consistently providing the Owner Occupied Building Services promised with uncompromising quality. Our staff is our most valuable resource and every member of the CSI family is entitled to a safe and healthful environment. Employee safety is a priority of our business and it is a CSI objective to support a clean, safe and healthy working environment for all employees. CSI complies with all safety and health standards that are put forth by local, state and federal authorities. CSI provides safety protocols, executive commands, personal protective equipment and training to abate and reduce exposure to hazards and stop injury and illness. CSI has developed, and will constantly redo, policies, rules, and techniques, which will contribute to the safety of everyone involved. Establishment and conservation of a safe setting is a shared function of management and staff at all levels of the organization. For this reason, every reasonable effort needs to be made to achieve the goal of improved safety and health preservation. Our thinking is to control and eliminate, to the greatest amount possible, any risk involved in the performance of our Owner Occupied Building Services. CSI has the responsibility to: Wholly and entirely sustain the Safety Program, Maintain a working environment that is safe and healthy for the staff, Follow occupational safety and health standards, rules, regulations and orders, Perpetuate an effective accident prevention program. We expect all employees to work in a manner of solid safe practices as posted, instructed, and reviewed. Supervisors shall insist that staff observe and obey every rule, regulation and order needed for the safe performance of labor, and shall take such appropriate steps needed to obtain compliance. Staff will contribute to CSI’s safety protocol by following all safety rules, letting management know of safety concerns and recommending ways to improve upon the CSI Safety Program. There is no job so pertinent—nor any service so urgent—that employees should avoid working safely. Green Cleaning is defined as “Cleaning to protect health without harming the environment” - Executive Order 13101. CSI International, Inc. is devoted to providing a clean and healthy working environment for all our staff and yours. Presidential Executive Order 13101, issued in 1992, by former President Bill Clinton lead the facility managers of more than 100,000 federally owned or operated facilities worldwide to begin using green cleaning products. Executive Order 13101 also defined green cleaning for the first time, communicating that it’s the “use of products and services that reduce the health and environmental impacts compared to similar products and services used for the same purpose.” Green cleaning is now the most favorable use of goods that minimize indoor pollution while reducing environmental pollution and favor renewable materials. Maintenance of a healthy workplace is the shared task of management and staff at every stage of the CSI organization. Every staff member is trained and held responsible to achieve the goal of minimizing the exterior’s impact on the local territory and to highlight and execute environmentally safe, minimal impact cleaning chemicals and procedures. CSI understands that the concept of stewardship-- "the duty for managing, supervising the quality or carrying out, state or condition of an institutional or industrial building"- is important to the green cleaning viewpoint and essential to the success of our green cleansing program. CSI is devoted to follow a set of stewardship concepts that have actually been developed by leaders of the green cleaning motion. These principles will assist in our efforts to be great stewards of the structures we service, their residents, our staff members, and the total environment. Tidy for health very first and look 2nd, Lessen human direct exposure to impurities and cleansing items, Acknowledge cleaning as an environmental health benefit, Dedicate to occupational development of cleansing workers, Interact the value of healthy structures, Reduce wetness, chemical and particle residue when cleaning, Guarantee employee and resident security, Contain and minimize all toxins getting in the building, Dispose of cleansing products in environmentally safe ways, Develop and record routine maintenance schedules.